The Latin American Public Opinion Project (LAPOP), initiated over two decades ago by Mitchell A. Seligson (LAPOP founder and currently Senior Advisor) and directed by Elizabeth J. Zechmeister and Associate Director, Noam Lupu, is hosted by Vanderbilt University. LAPOP began with the study of democratic values in one country, Costa Rica, at a time when much of the rest of the Latin American and Caribbean (LAC) region was caught in the grip of repressive regimes that widely prohibited studies of public opinion (and systematically violated human rights and civil liberties). Today, fortunately, such studies can be carried out openly and freely in virtually all countries in the region. The AmericasBarometer, one of the many and growing activities of LAPOP, is the only survey of democratic public opinion and behavior that covers the Americas (North, Central, South and the Caribbean). It is an effort by LAPOP to measure democratic values and behaviors in the Americas using national probability samples of voting-age adults. In 2004, the first round of AmericasBarometer surveys was implemented with eleven participating countries; the second took place in 2006 and incorporated 22 countries throughout the hemisphere. In 2008, 23 countries throughout the Americas were included, and over 36,000 individuals. In 2010, 26 countries were surveyed, involving over 43,000 interviews. In 2012, 26 countries were included again, and over 41,000 surveys were carried out. The 2014 round includes surveys conducted in 28 countries across the Americas and more than 50,000 interviews. The 2016/17 round, which marks the latest round of the AmericasBarometer, was conducted in 29 countries and includes more than 43,000 interviews. The AmericasBarometer is the most expansive regional survey project in the Western Hemisphere. These surveys have given rise to scores of studies and publications on various aspects of democratic values and behaviors in the Americas. 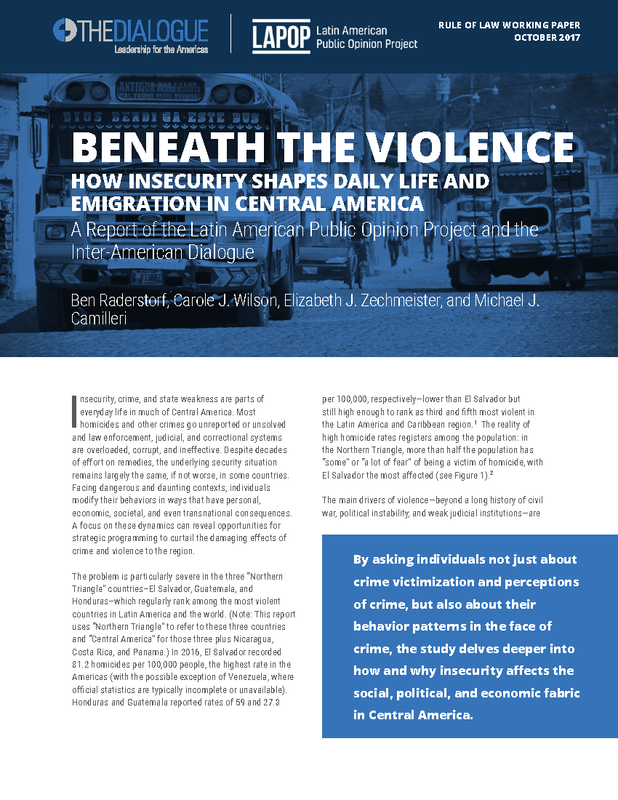 The project has regularly published in-depth analyses of the data collected in Spanish-language monographs in countries throughout Latin America and in English and French in the Caribbean. 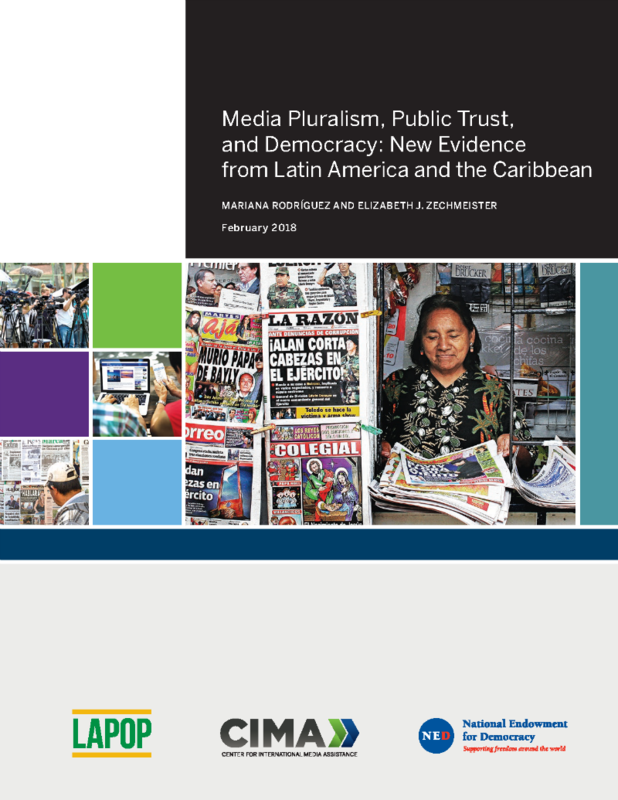 Through years of polling in most of the countries of the LAC region, LAPOP has developed a treasure-trove of databases of public opinion information about political viewpoints across the Americas. This data has been the basis of scores of articles in professional journals, and has been the basis of many of the 30+ Ph.D. dissertations that faculty associated with LAPOP have supervised over the years; it has also been utilized by the United States Agency for International Development (USAID) in its efforts to promote Latin American democracy and, perhaps most significantly, by the governments of several LAC region countries. Data produced are also used by the Inter-American Development Bank (IADB), World Bank, United Nations Development Programme (UNDP) and others in reports, indices, and analyses. USAID has provided core support for LAPOP's projects and for graduate training. The IADB, UNDP, Tinker Foundation, Open Society Foundations, among others, have recently collaborated with LAPOP to provide additional support to the AmericasBarometer. LAPOP also receives support from Vanderbilt University.